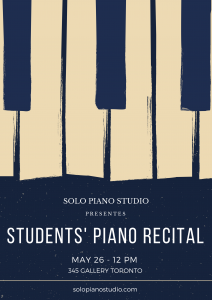 Solo Piano Studio is a private music studio located in Mount Pleasant Village Toronto emerged from pianist and composer Teo Milea`s desire to pass on his knowledge of piano and music theory, gathered in over 30 years of experience in the professional musical field. Teo Milea is a RCM Certified Teacher. His own exposure to exceptional international teachers during his developmental years makes him a great communicator, an intuitive and creative teacher. Classes address all levels – beginners, intermediate and advanced, each student is taught individually. One session comprises both theory and piano practice, following the Royal Conservatory of Music syllabus. 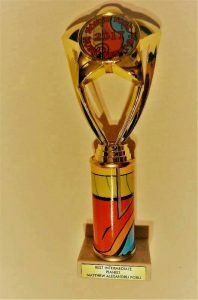 Solo Piano Studio aims to develop best level pianists and train them for exams, much wanted contests` awards, and last but not least, to win the public`s admiration. Teo Milea is a Toronto-based contemporary pianist and composer whose unique musical style speaks to the public in a cinematic way. 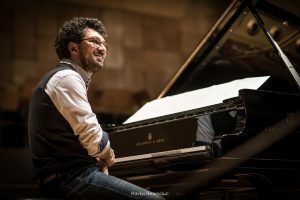 Teo Milea collaborated with The Opera of Vienna (Austria), he is the first pianist in the world invited to play his own music at the NATO headquarters (Brussels, Belgium) and even more, the first pianist to mount on the stage of The International Ballet Festival (Dortmund, Germany), interpreting his work. Discovering Teo Milea`s music is love at first note. Listen to his music; it is the perfect soundtrack for your life. “Some very talented people can construct pseudo-narratives from music itself. 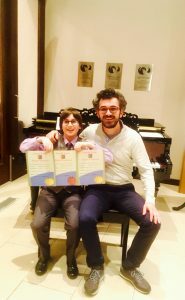 Teo Milea has the rare ability to do all this with only the use of his piano…Milea has enough talent in him to become not only one of the next great piano players, but composers, too”. We cannot say enough good things about Teo’s teaching methods. Alex is looking forward for every class and he enjoys his time spent with Teo. It appears that Teo has a special ability to connect with his students. 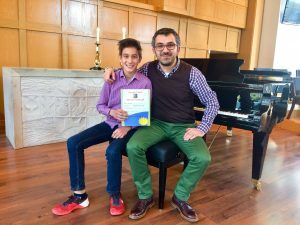 Even though Teo started his Toronto studio for only one year and he has been teaching Alex for nine months, he proved that he has the teaching skills to instruct his students at a very high level. Studying under Teo? It has been an absolute pleasure for my daughter Anna. Having such a detail oriented and diligent teacher has kept my daughter interested in playing and studying the piano. 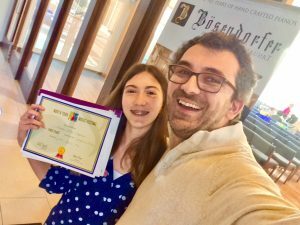 By specifically and creatively tailoring the lessons to his students, Teo ensures that his students stay interested in practicing while also correcting and diligently assigning work which keeps (some) parents happy. 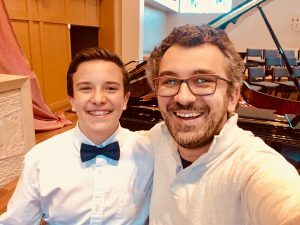 We could not be happier with Teo Milea's extraordinary teaching! Our daughter, Smrithi, has been attending Teo’s piano classes for the past 6 months. Teo is very knowledgeable and has lots of patience. He has helped Smrithi to improve her piano skills, starting from her posture to play piano and her self-confidence. The small tips that he gives are very helpful not only for the students but also for us as parents. He is very friendly with his students and very caring too. We appreciate Teo for his dedicated and continued support & guidance for Smrithi. 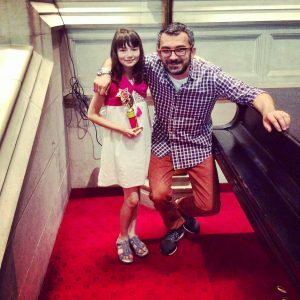 We would recommend Teo to any parents who wish their child to learn Piano. 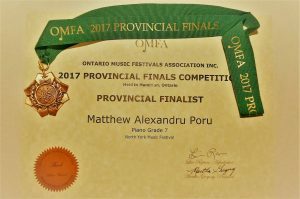 It is my opinion that our community here in Toronto is extremely fortunate to have a music teacher of his caliber. Teo elevates piano lessons to a new level. 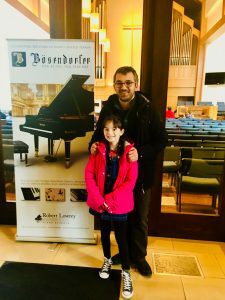 In just few months, Teo managed to create a bond with Niki, as a student, that is looking forward to his piano class, relaxed, feeling good and up to the challenge, although knowing that the hour is going to be intense. “Why do you like Teo so much?”, I am asking Niki, chatting the other day about piano lessons. “He is funny and makes a lot of jokes, but he means serious business!” answers Niki. Teo is a wonderful teacher! My son made great progress since he started classes with Teo! We are very grateful to have Teo in our life! His talent and passion for music are a true blessing!